Henry David Thoreau, the American author, poet, and philosopher (among other things) who wrote the classic essay “Walden” is somewhat of a poster boy for many in the tiny house movement. Thoreau himself lived in a tiny house (a 10′ x 15′ English style cottage) near Walden ponds. He spent more than two years living is this small cottage, contemplating life and turning conventional living on its head. He worked as little as possible, in direct opposition to the standard mantra of the era, which entailed six days working and one day off. The freedom his new approach to working hours afforded allowed him to gain clarity of mind. He witnessed those around him endure the monotony of everyday work, suggesting, “the mass of men lead lives of quiet desperation.” He was passionate about acting on one’s individual conscience and not blindly following laws, government, and societal norms. Thoreau’s view of the world in some way represents the essence of the tiny house movement. Today Thanks to people like Jay Shafer (who founded Tumbleweed, a California-based company that designs and builds ready-made models and floor plans), there has been increased exposure on tiny homes throughout the mainstream media. This exposure has helped bring awareness to the idea of alternative modes of living. 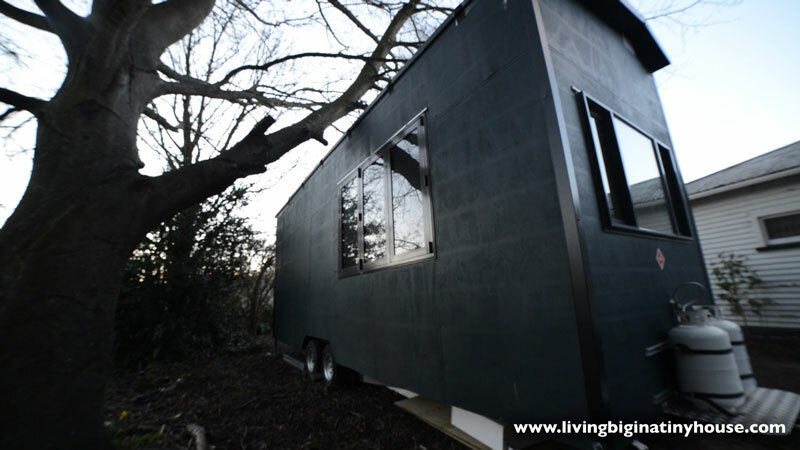 The mainstream are taken by the tiny house movement with major networks and media outlets such as CNN, AP, The Guardian, Huffington Post, NBC, Oprah, PBS and many other blogs and networks featuring the phenomenon. Today the internet has been flooded with various images, videos, and stories of people living in and becoming involved with tiny homes around the world. Television shows, documentaries and You Tube clips abound. The tiny house movement, while still in its early days, will most likely be one of the biggest trends over the coming decades. 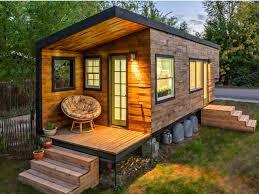 Six Reasons Why the Tiny House Movement is Going to be Big Over Coming Decades 1. Economic In the aftermath of the financial crisis and now the Euro crisis, many people have simply lost their hard earned dollars or had their homes repossessed. This segment has had to reassess their lives and their future. When you have lost decades of earning capacity you really need to rethink things. Since the GFC, things have become a lot worse for economies, with both private and sovereign debt levels almost double what they were before. In OECD cities such as Sydney, Melbourne, Toronto, Vancouver, Auckland, London, and New York, the average price of a standard home or apartment is close to or pushing through the million dollar mark. Even in the far flung outlying suburbs of large cities properties can easily be priced from $500,000 upwards. Even if you are fortunate enough to have a well paying job or business, mortgages can take anywhere between 2o to 40 years to repay. 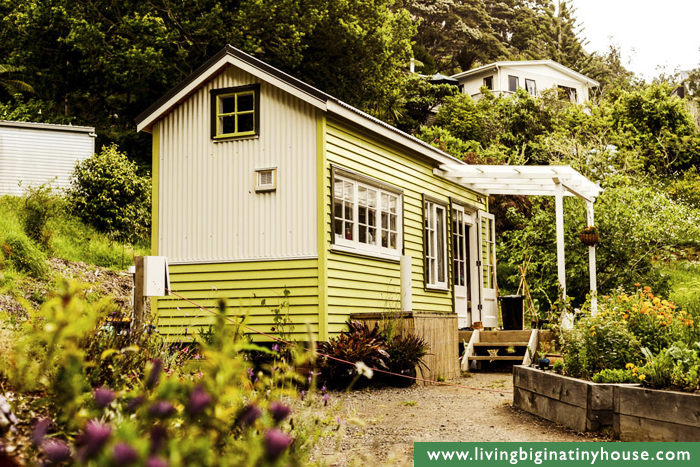 According to “The Tiny Life” research, 21% of people who own a tiny home are under 30. 21% are between 30 – 40, 18% between 40 -50, and the majority (38%) over 50 years of age. 2. Environmental As people become more conscious of their environmental footprints, small homes will become more prevalent throughout the mainstream. As energy prices continue to increase and the costs of living rise, the tiny house movement will grow. The overall cost of maintaining, heating, and cooling a small space is significantly less than that for larger, more energy and resource intense properties. Not to mention the resources used in the build process are often ten times less than a conventional 2,200 square foot property. 3. Simplicity Simplifying one’s life and being able to live life within ones means is a good starting point for being able to weather any economic contraction. Reducing debt and downsizing will make the transition to a more sustainable life much easier. Many studies maintain that a simpler and less consumerist lifestyle can lead to a happier and more fulfilling life. A consumerist lifestyle distracts individuals from more meaningful endeavours. Reducing the amount of possessions in one’s life can lead to a cleansing not only of physical possessions, but also of the mind, leading to enhanced mental clarity. Having limited space forces one to de-clutter and minimize the amount of stuff owned. Your entire life is therefore simplified, everything from clothes and appliances to furniture begins to take up less mental energy. You only carry what is essential and what is needed. Many tiny homes are roadworthy, mounted on trailers which gives owners the ability to easily relocate. 4. Tiny Homes Give You Big Think Space The 1950’s heralded the rise and development of suburbia which expanded throughout many Western nations. In conjunction with larger parcels of land came larger homes. It was predominately the post war economic growth in the United States and other OECD nations which encouraged the suburbanization of cities. With cheap energy in the form of crude oil helping fund this suburban expansion, consumer patterns also shifted. 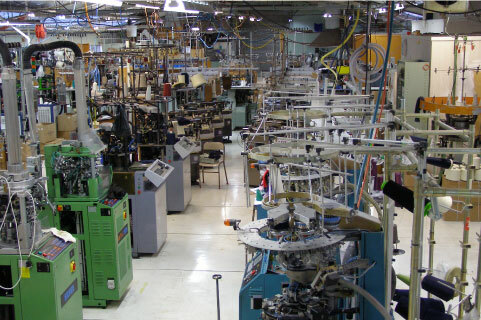 The baby boomers went on a spending spree as industrial output enabled people to purchase an array of goods and services that only decades earlier did not exist or were cost prohibitive. With suburbia and larger houses came a new consumer culture. These large homes needed more ‘stuff’ to make them look like they weren’t empty. Today approximately 30% of most American weekly income is spent servicing debt and mortgage repayments. In countries such as Australia and Canada the number is closer to 40%. It is easy to see why there has been a lack of dissent and free thinking among the masses. 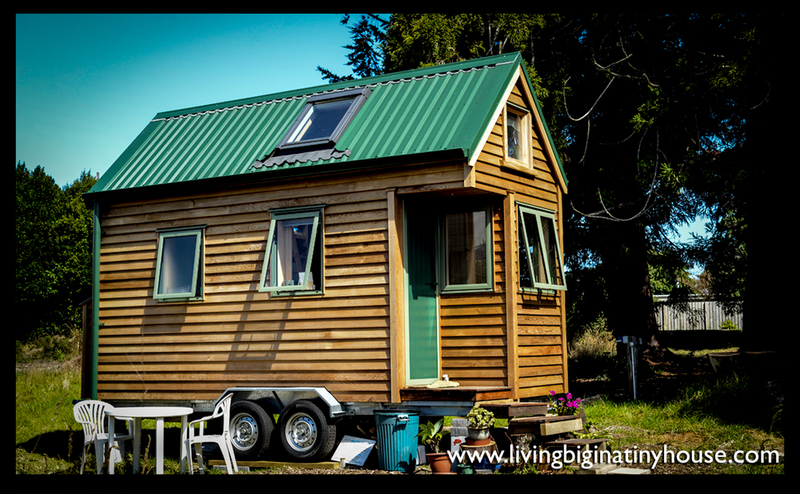 Tiny homes and downsizing free you up from the burden of expensive living and being chained to the wheel. 5. Happiness Levels With less stress and without the burden of having to pay and repay debt, people are waking up to the realization that you don’t need to live in a monster home to be truly happy. 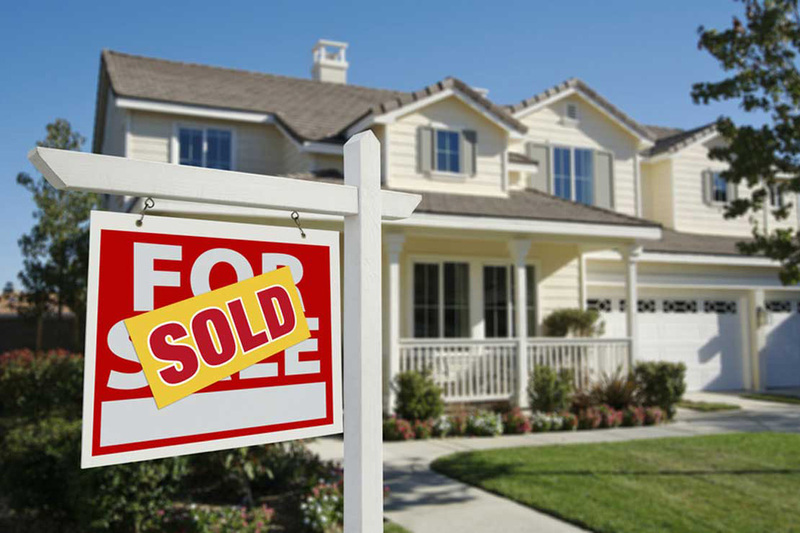 With the average size of most North American homes increasing by over 60% since the early 1970’s, there is no evidence to suggest living in a bigger home adds to overall levels of happiness, despite what the advertisers and mortgage brokers will tell you! Having a larger home doesn’t mean you are 60% happier than those living in a small space. In fact, studies show that the larger the home, and the more time you devote to maintaining, cleaning, and servicing, the more financial and personal stress you will experience. Living light gives people space to define their worlds and gain more control over how they live life, ultimately leading to greater happiness and satisfaction. 6. Community Since the rapid period of ‘suburbanization’ from the 1950’s onwards, which brought about long distance commutes to central business districts, more frequent overseas travel, and consumerism, community ties and networks have been lost. People in large cities and throughout suburbia have become isolated. While there are pockets of vibrant communities, in general there has been a disintegration of community values and connection. We have become too busy working to pay off large mortgages and engaging in hedonistic pursuits which have distracted us from what really matters – family, community, and relationships. There are many vibrant developments in the small space community. Due to the relatively new nature of the movement people are coming together in collaboration to solve some of the zoning, planning, and logistical challenges that have since arisen. Projects like the Tiny House Village in Sonoma Country will become blueprints for others to follow. This project will offer shared amenities with the village structured more like a co-op. Sources: Rethink…Your world, Your future. The Q and A programme on TVOne this week started with a debate on housing. 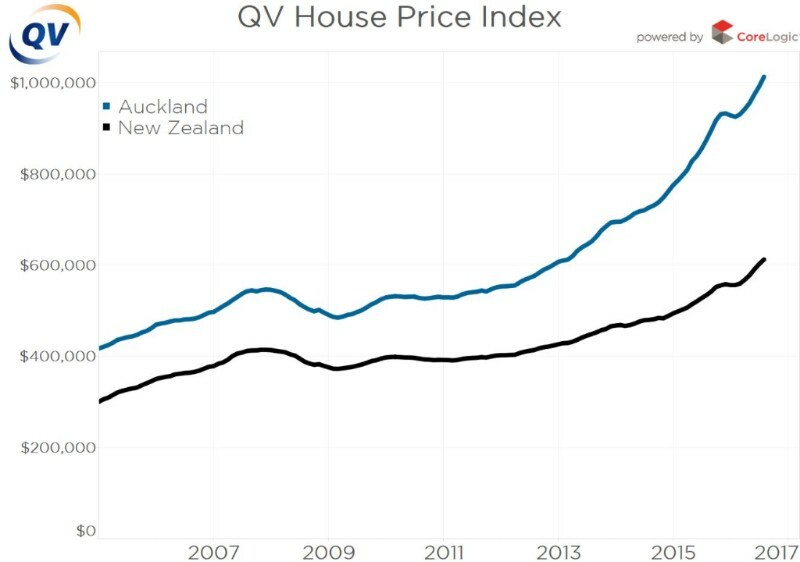 Property investor Olly Newland and Hive News Publisher Bernard Hickey were asked by Susan Wood about how to control the housing bubble in Auckland, since the Reserve Banks had this week decided it was not budging and would leave the Loan To Value (LVR) restrictions in place. Olly Newland seemed to want no restrictions at all so that rents will come down. Bernard Hickey pointed out that if you have first home buyers with 1% deposit you run the risk that the banks will fail and the Reserve Bank can’t take that risk. Olly replied that the banks can look after themselves, which fails to understand that we need a reliable banking system. He said that LVR restricts first home buyers and that is preventing them from getting on the housing ladder. He even used the term “moral aspect” and said he was the first to encourage home buying for first home buyers. Bernard pointed out that if rents go up the government has a fiscal problem because it pays accommodation supplements. Bernard says if interest rates go up homeowners are in trouble. He reflected on the fact that RBNZ had been considering various ways of controlling lending to investors, including a different rule for those who have five or more properties. They disagreed on whether interest rates will rise or go down, Olly opting for the latter and saying we are getting deflation starting round the world. 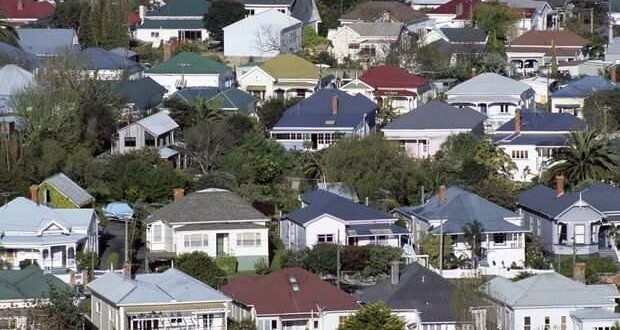 He dismissed the RBNZ’s solution to control investment finance as “political claptrap” and said he wanted people to be able to rent property for a lifetime securely. He believes the market would steadily slow down and people were investing for the long term. Oh well, interesting to have his views. they want to control the rental market. They should get a policy on these. Laila said there was an obsession with the supply issue and a lack of proper statistics. The housing shortage figures vary between 5000 and 30,000! Property investors owning 5-6 homes are often living in large houses themselves when all their children have gone. There isn’t a shortage of bedrooms in Auckland at all. Matthew then pointed out the anomalies possible in the RBNZ’s other options e.g. does a property owner with five bedsits have a bigger portfolio than those with three huge student houses? Here we go again. If you don’t ask the right questions you don’t get the right answers and you end up with a complicated messy system full of anomalies. So they managed to have a whole debate without once raising the issue of land prices and how to keep them down. You know when I was writing my book Healthy Money Healthy Planet – Developing Sustainability through New Money Systems I was arguing that money be created without interest. Some said interest rates need to go up not down. But the strongest reaction I got from the drafts was from Robert Keall of Resource Rentals for Revenue. He basically said “zero interest loans over my dead body” because he knew land prices go up. He said we want higher interest rates not lower interest rates. Ten years later I know what they all meant. Low interest rates mean a land bubble (people call them housing bubbles but it is really the land that rises in value not the building). 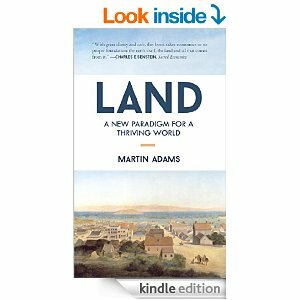 So while I am still of the opinion that money should be never be created as interest bearing debt, I am also acutely aware of the connection between land and money and know that in New Zealand new land tenure systems were introduced by British colonists at the same time as private banks and their money creation powers. The whole point is that because land is naturally occurring, it belongs to everyone. Colonists brought with them a concept completely alien to Maori, and indeed to the thinking of indigenous people worldwide, – private land ownership. The setttlers, who had largely been tenant farmers in England and Scotland, wanted freehold land. Freehold means land ‘free of rent’. Thousands of years of enclosures of land in Britain had meant that freehold was the new ideal. They had forgotten that land belongs to everyone. It is a sign of how little distance we have come in our understanding of land as a natural resource that a high profile debate like this QandA debate can go hard at it without mentioning land. One tweeter said ‘The elephant in the room is capital gains’, again without mentioning land. Oh and they had a debate they had about ‘forcing people out of their homes’. When Laila pointed out that there was no shortage of bedrooms in Auckland, Matthew Hooten said you can’t force people out of their homes. Well a tax system can. That is what tax systems do – they alter behaviour. If a Remuera retired couple is living in a huge home and the only cost to hold their land is the rates, they stay there. If however they had to pay an extra 3% land tax they might reconsider buying a smaller property more suited to their needs. The next day the Dominion Post carried a short piece making Laila look ridiculous for saying this but she was only pointing out a fact. It is time such a study was done for Auckland. Economics professor Steve Keen in a recent interview said it is only thing stopping unemployment rising to the levels of Europe is the the housing bubble. The housing bubble keeps money supply up. Goodness, that is a critical point and leads us to understand the interconnections between the money supply, unemployment and how the tax system affect where money is invested. Of course Steve Keen must then argue we need more money in the system as well as a tax system that taxes the monopoly use of the commons and not work. And we have to find a money system that is sufficient. Thank goodness for the citizen effort going on at the moment to start a Christchurch currency. Yes getting this new political economy is a huge challenge for the entire world. http://www.switzer.com.au/video/keen13112014/.